For the first time in history there are up to four generations working together. Each of these generations have unique expectations and demands as well as strengths. Organizations that recognize and embrace these differences remain highly productive and make the most of the differences and skill sets each generation brings. 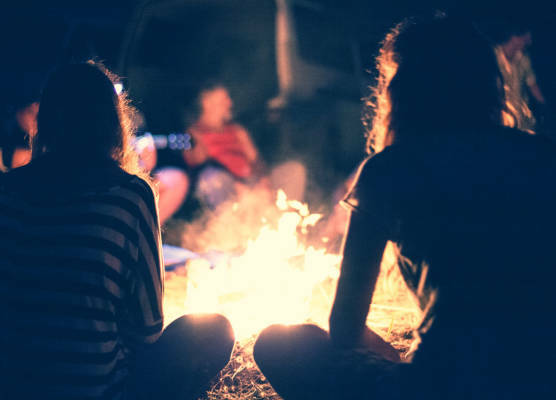 If you are struggling to blend these generations and want to close the generation gap to create a positive and productive work environment, then our Camaraderie Campfires are the answer. Camaraderie Campfires are highly interactive workshops that bring employees together, allowing them to see the human side of teammates. These workshops close the generation gap between your employees for an improved culture and a total that is greater than the sum of its parts. Camaraderie Campfires are fun and effective activities that re-energize staff and build strong connections. Camaraderie Campfires are led by an experienced and highly engaging facilitator that lead employees into problem solving games and activities to create an awareness and an appreciation of the differences in each group. They are fun and naturally create a curiosity and interest in each other, leaving each participant with a lasting understanding of why a coworker thinks the way they do. When the workshop is over, employees will have created a new camaraderie and you will see a difference in the communications and kinships that are formed. Camaraderie Campfires activities are designed to blend the generations in a relaxed environment allowing your employees’ minds to open to fresh ways of thinking while respecting each other’s differences—resulting in a workplace dynamic that is supportive, respectful, and ultimately a more enjoyable place to work. According to a Gallup poll, people who strongly agree they have a best friend at work are more than twice as likely to be engaged (63%) compared with the those who say otherwise (29%). It’s a new workforce, and you need a new strategy! Your employees appreciate the fact that you care enough to make their workplace a more inclusive environment. Book your Camaraderie Campfires now and give your employees another reason to love working for you! Prior to each workshop, you will need to share your gen-blend challenges with Doreen Lang. She will then be able to choose and facilitate the perfect workshop to address your areas of concern. Camaraderie Campfires run 2 hours and includes all materials. Minimum of (14) and maximum of (20) per person per workshop for optimal results. Best times to gather for excellent results are at 9 a.m., 12:00 noon for a lunch and learn or 3:30 p.m. Great engagement tool resulting in retention. Plan on staff spreading the word on how much they enjoyed it—plan on all staff participating for optimum results. Call 617-455-5636 or email me at doreen@hangontoyourstars.com and let’s get this scheduled.